Property owned by you or your spouse prior to marriage is referred to as separate property. In addition, any property you receive during the marriage that is a gift or inheritance is also considered to be your separate property. This is important because separate property remains separate throughout your marriage and will not be divided if you divorce. However, property that was previously separate may become community property during the marriage under certain circumstances. For example, if you owned a home before the marriage, it may become community property if both you and your spouse used it, helped maintain it and contributed to paying the mortgage. You and your spouse can agree to change the character of either community or separate property during the marriage. Changing the character of property is referred to as transmutation. For example, after marrying, you may wish to add your spouse to the title of your home; once done, you have "transmuted" - or changed - the property from separate property to community property. To transmute property in California, the change must be made in writing and include an express statement by the spouse who will be negatively affected by the transmutation. There are several methods the court may choose to use when dividing marital property, regardless of the length of the marriage, if you and your spouse are unable to agree. Which method is used depends on the nature of the property. For example, when dividing shares of stock, the court may use in-kind division, which awards each spouse one half of the shares owned without cashing out the stock. Other marital property, such as a home, may be impossible to divide between the two spouses; in such a case, the court may order the home sold and then divide the proceeds between the spouses. 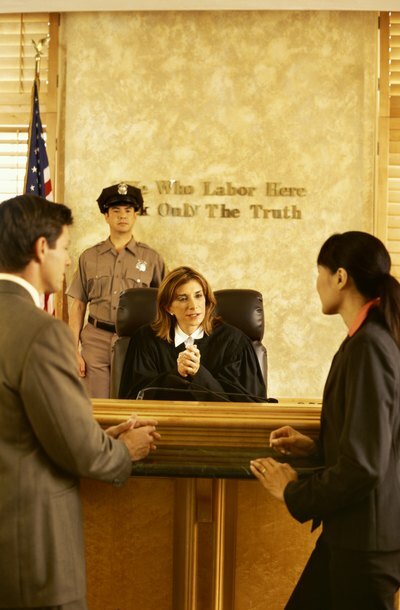 The length of the marriage may have some impact when a court awards spousal support. For example, generally in California, if you and your spouse are married for less than 10 years, spousal support will be awarded for half the length of the marriage. However, spousal support awarded for a marriage lasting 10 years or more will not have a set duration; it typically lasts for as long as the recipient spouse needs it and the paying spouse is able to pay. The court will not award spousal support without first determining if such an award is necessary. The court considers several factors when making this decision, including whether each spouse will be financially able to maintain a lifestyle similar to what was experienced during the marriage. Who Gets the Apartment in a Divorce in New York? During a marriage, both spouses can become emotionally attached to a residence. If the couple decides to divorce, neither spouse may want to go through the burden of uprooting and looking for a new place to live. Knowing the authority the court has in determining which spouse will own or have the right to occupy an apartment, will help reduce some of your uncertainty heading into divorce.